The tiny island nation of Sri Lanka couldn’t be that remarkable when it comes to land size. But when the talk is about beaches, this country automatically hops in the list. It has the classic popular beaches and the developing ones, plus the beaches which are making a comeback – which can be good and bad at the same time perhaps. If you’ve visited one or a few among these beaches on this list, don’t hesitate to share your experiences! 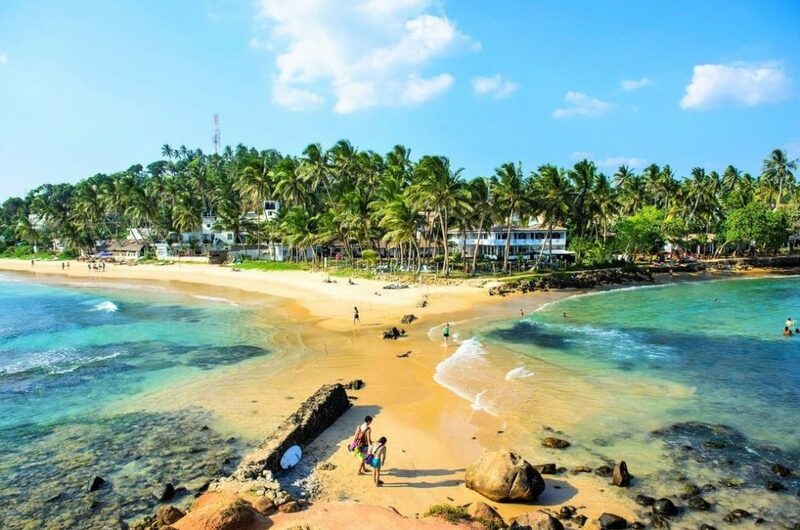 Once a favorite destination for beach-lovers in Sri Lanka, Nilaveli Beach tries to regain what it has been known before the Civil War and the 2004 Indian Ocean earthquake had brought the eastern coast of Sri Lanka into a devastating state. The beach is back in welcoming visitors nowadays to enjoy its paradise-like scenery. However, don’t be shocked by the large military presence around the area. Hikkaduwa just like Nilaveli was a popular tourist spot in Sri Lanka since the 1970s. It may have lost its spark due to the natural calamities and the crowds that passed by, but it’s still worth the visit 2 ½ hours away from Colombo. One of the best things to do in Hikkaduwa beach is surfing. From November to March, expect its waves to go up to 3 meters high. Besides surfing, you can go on a boat trip to go to its best snorkeling spots. Situated on the Indian Ocean in the dry zone of Sri Lanka’s southeast coast, Arugam Bay shifts from a traditional fishing spot into a must-visit surfing beach. The tiny crescent-shaped beach might be difficult to reach compared to the other beaches of Sri Lanka. But if you are a surfing addict looking for a new spot to mark, this could be your next destination. A backpacker’s kind of paradise, Mirissa Beach is scenic with its turquoise-blue waters that invite all toes to dip in. You can also surf here but don’t expect to crash on high waves. If you want an accessible yet not so touristy place, then Mirissa is for you. On the southern side of Trincomalee, you’ll find Marble Beach which is mostly visited by locals than foreign tourists. It might look average because of the lack of restaurants, accommodations, beach chairs, and people. However, what it lacks is what makes it attractive for people who want an all clean and calm view. Dickwella beach is situated within a cove, protected by headlands, reefs, and sandbars, which makes it a safe swimming spot. Besides chilling on the beach, you can also check out the largest seated Buddha statue in Sri Lanka. Also, enjoy the freshly-caught fish you can directly buy from the local fishermen. Weligama beach is a great surfing spot for surfing novices and experts due to its various waves coming from different directions depending on the current tides. Don’t miss out some fresh crabs and grab a beer while waiting for the sun to set. 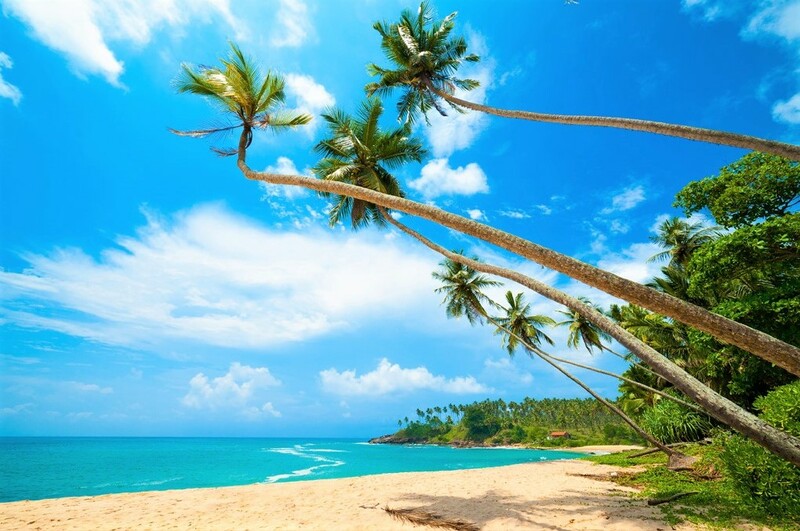 The most famous beach in Sri Lanka, Unawatuna beach, is a banana-shaped beach filled with golden sand, green palm trees, and turquoise blue water. For some, it has lost its original beauty through the times due to the countless crowds and structures built around it. Hotels and restaurants were hurriedly built on the actual sand after the 2004 tsunami thus leaving half of the beach open for people. Staying at the west end of the beach makes it easier for visitors to appreciate the raw beauty of this popular beach. 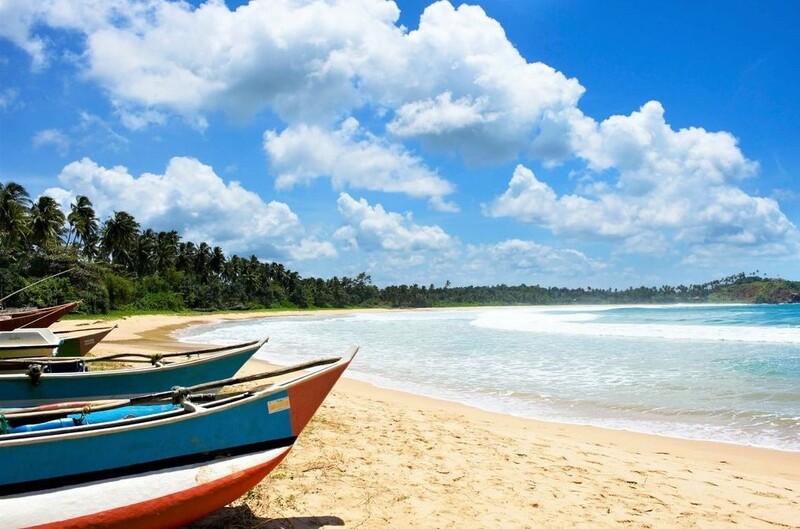 Bentota beach sits in the Galle district of the Southern Province of the country. It is popular when it comes to a variety of watersports, sunsets, and peaceful views. 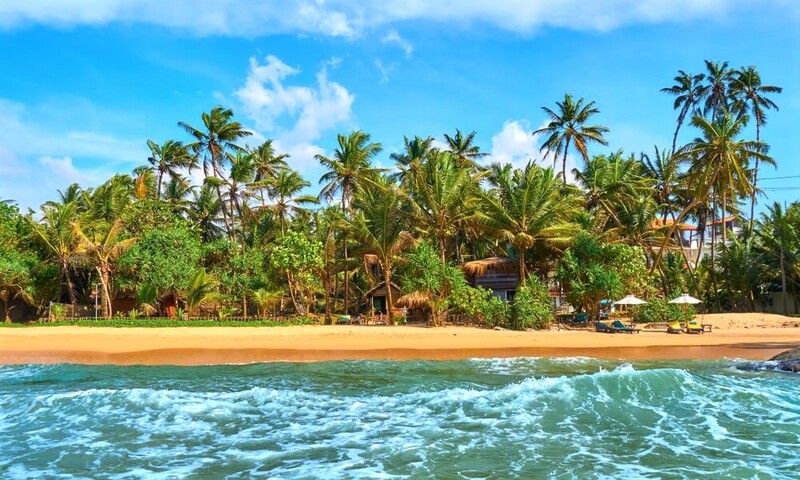 As the town of Bentota also delivers the ancient art of healing called Ayurveda, expect the hotels around the beach to have their own Ayurveda centers. 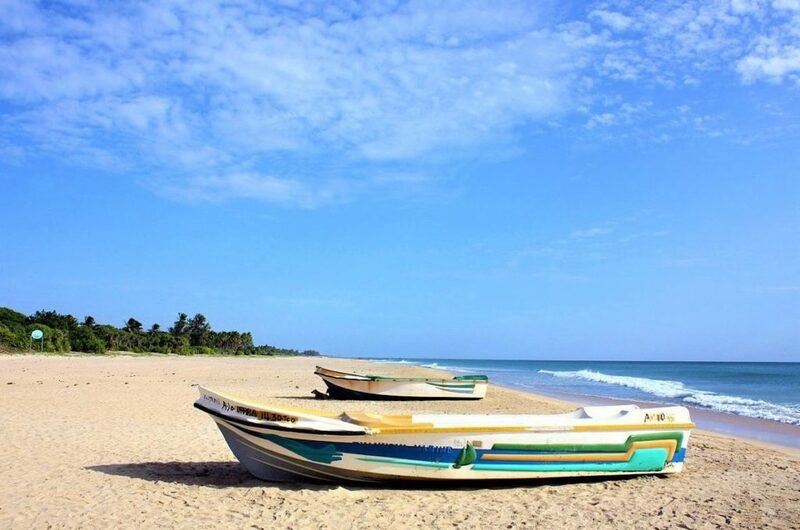 The unspoiled Alankuda Beach is situated 3 hours away from Colombo. It is perfect for those who want a relaxing holiday but at the same time, it can be the place for those who want to try out some different activities such as sailing, windsurfing, kayaking, canoeing, kite surfing, and snorkeling. 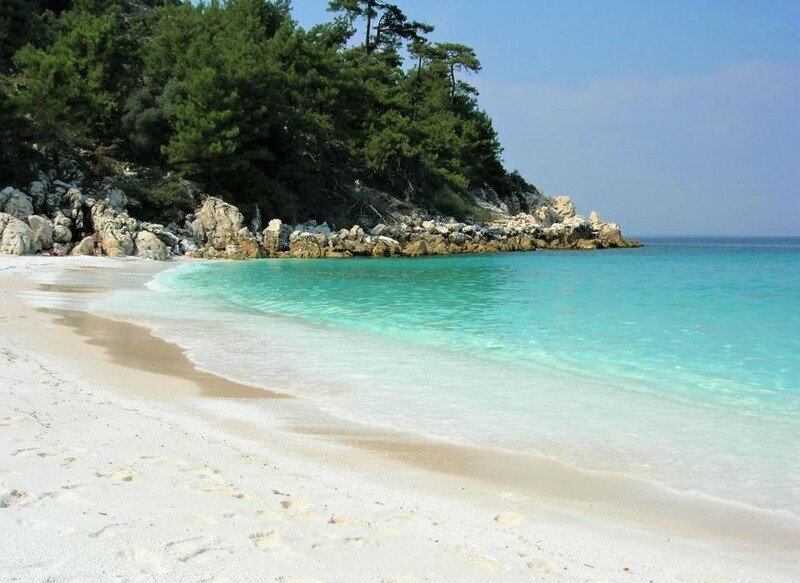 The best time to visit this beach is from November to April.